Gran turismo 4 random crash and cant load save state. (10-19-2018, 10:55 AM)jesalvein Wrote: Please post the contents of the emulog.txt file after the problem occurs. The file can be found in "My Documents\PCSX2\logs" for the installer version or in "PCSX2\logs" for the portable/binary version. looks like a corrupted savestate to me. can you load from memcard ? I don't know if the option exist on your version of pcsx2(I don't remember since when it was added),but it is possible that you have a backup of your save. 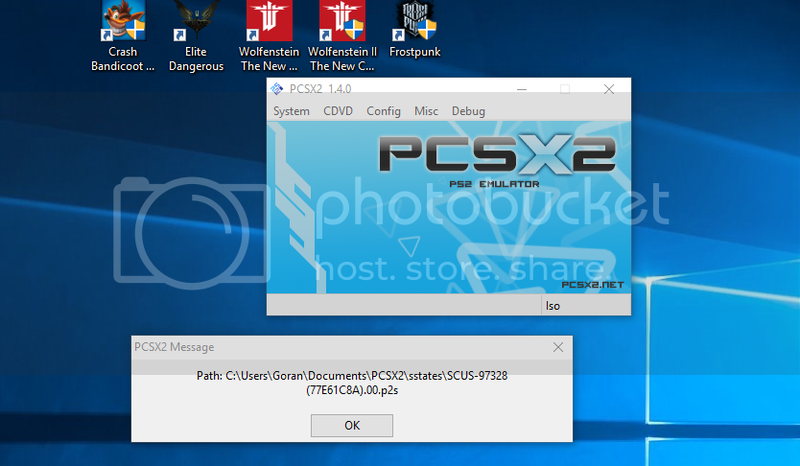 Check in "C:\Users\Goran\Documents\PCSX2\sstates\" if you have a file named "SCUS-97328 (77E61C8A).00.p2s.backup"
(10-19-2018, 04:09 PM)vsub Wrote: I don't know if the option exist on your version of pcsx2(I don't remember since when it was added),but it is possible that you have a backup of your save. Saved my life, thanks a lot! How else should i save? (10-19-2018, 04:35 PM)Kai xin guo Wrote: Saved my life, thanks a lot! Oh i had a lot of problems with memory card, It crashed often and what happens in GT4 is that it would often say there is a different memory card inserted into a memory slot 1, and i cant save my status or change my cars, so what happens i need to make a new save and if i do that all the cars in my garage except the one im already driving will be deleted.Happened like 3 times now so i got frustrated and only saved like this. Something like this may happen if you create a save state,then save to the memory card and then load the save state....some games don't like this(Kingdom Hearts 2)but as I said,using save states only to keep your progress is a bad idea. Then be prepared to face problems, cause save states aren't as reliable as memcards. And they aren't cross-version compatibles either.